Next Dance Cinema was presented in two showings at Northwest Film Forum as part of Velocity Dance Center’s Next Fest NW, a week-long display of performances, screenings, and events. This year, the performances and film screenings revolved around the theme of Utopia. Even given the narrow intersection of dancemakers and filmmakers, Next Dance Cinema presented a plethora of utopian visions. Given the subject of the evening, it should come as no surprise that the most ubiquitous theme present was nature. From the Japanese forests of Sagamihara (Corrie Befort,) to the wide open plains and rivers that framed the emotional dynamics of Colleen McNeary’s Unforgettable, the beauty of a natural landscape makes any moment utopian. In the Alice in Wonderland-esque Waking the Green Sound: a dance film for the trees by Portland’s Wobbly Dance, nature left the role of backdrop to become a character itself. Dancers moved in the dirt beneath grand trees and had a tea party where both the teapot and the dancers’ mouths were stuffed with flowers. The most stunning cinematography of the night showcased the Jordan desert in Sarmand by Shireen Talhouni. A single female form danced freely against the backdrop of desolate sand dunes and natural stone formations, as she alternated between minimal dress and face paint to a figure draped in cobalt silk, reminiscent of a burka though it hugged her curves in the wind. The freedom of isolation offered her a personal utopia, even against a seemingly lifeless desert. A few films diverged from depictions of nature, instead taking place in near-dystopian buildings. Three Perspectives by Coleman Pester showed three dancers moving through an abandoned factory, and Claire Cunningham’s Resemblance featured a dancer in a ruined stone building militantly assembling a crutch, just as a soldier would clean their gun. Both seem to suggest that it is only on the other side of dystopia that we find utopia. Some films took a biographical turn, allowing dancers to speak about themselves in a way so often absent from the stage. Jacob Rosen’s Waldean focused on the story and philosophy of dancer Waldean Nelson. Nelson’s effortlessly graceful movement set the scene as we heard him note that, in being true to himself, the weight of his world became “lighter”. 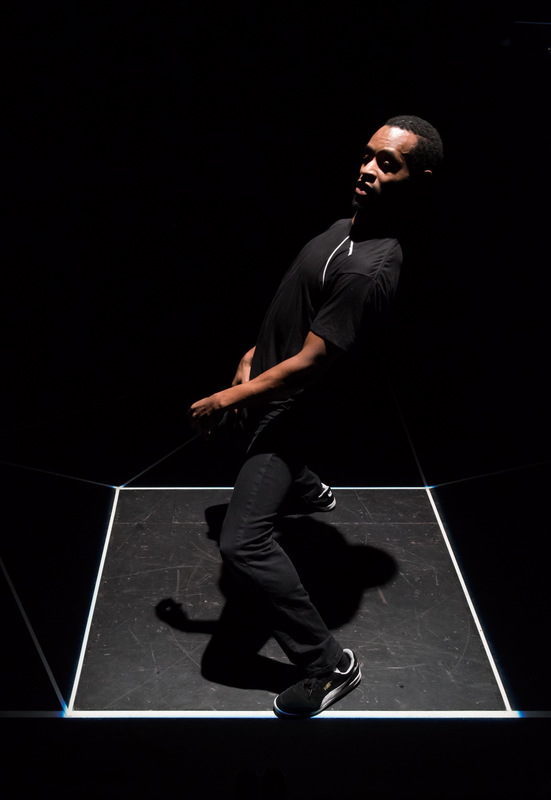 Opposing Forces, a documentary piece, followed the creative process of Amy O’Neal’s stage work of the same name. A study in hyper-masculinity and hyper-femininity and their intersection, this film offered a refreshing chance to see b-boys and breakers openly discuss their growing awareness of gender as performance in dance and everyday life. 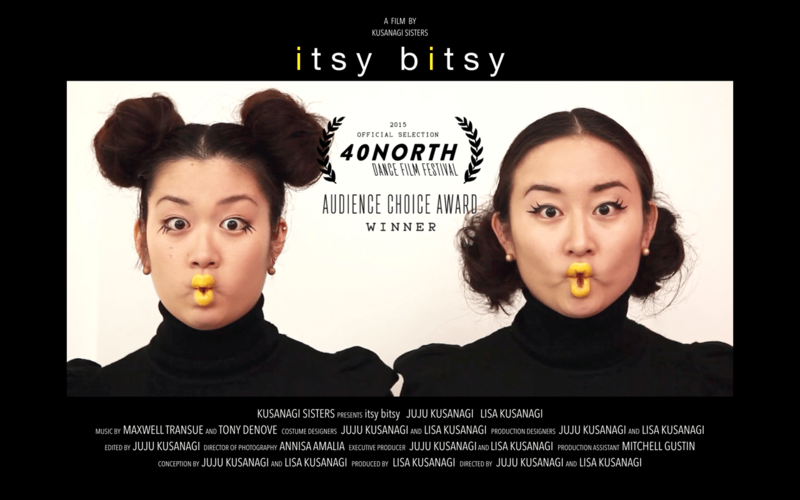 The most delightfully odd utopia presented came in itsy bitsy by Juju and Lisa Kusanagi. The sisters, in canary yellow lipstick, performed delicate finger dances in a mushroom forest, sipped through novelty straws, carefully stepped over eyeballs on a bark floor, and played mushrooms like musical wine glasses. Set in a technicolor world, the movement began with isolated articulations of hands and feet and later expanded to full body stretching, undulation, and locking. Rather than seeming frivolous, the film was grounded by the sisters’ specificity of intent in each movement. In this film (and often in the world), sometimes weirdness is paradise. Though there were simply too many to go into detail here, other films screened included Dancer by June Zandona, Plastic Eye Indian by Natasa Stamatari, The Exit by Sleep Nod, Splurge Land by Kate Wallich, Boomerang by Emma Hreljanovic and Haley Watson, Sampled by Artémise Ploegaerts, CHOMP by Allison Burke, and How to become a Partisan by Alice Gosti. Seattle is privileged to host this annual dance film festival, and, with the wealth of talent shown this year, one can only hope for more frequent opportunities to see this format of dance in our city. Next Dance Cinema was presented by Velocity Dance Center at the Northwest Film Forum on Monday, December 7, 2015, as part of Next Fest NW. More information about Velocity and their programs can be found on their website.